Our Mozambique offices in Maputo employ individuals with expertise in health information systems, monitoring and evaluation, surveillance, business development and finance and operations. Cassim has 34 years of experience in administration, human resources, logistics, finance, IT and program management and control. She previously worked as a program assistant, program officer and project control officer with the United Nations High Commissioner for Refugees (UNHCR) in Mozambique. She served as the project lead and program officer managing UNHCR-funded projects for several NGOs. She also has experience at various private companies in general administration and finance. 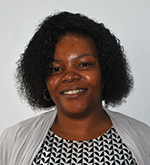 She worked for I-TECH Mozambique as deputy country director for finance and assisting I-TECH headquarters as a regional compliance officer for the Botswana, Namibia and Kenya offices. Cassim has a bachelor’s in a commercial management course (1st year) and completed the Effective Writing course for UNHCR. She attended a training on Peace Keeping and a course on Peace Building and specialized in Reconciliation and Mediation. Cassim also completed general office, secretarial and accounting courses in South Africa. Faquir provides assistance in recruitment, salary payments and social security requirements for all Mozambique-based staff. She deals with insurance and medical aid issues and with staff conflict resolution, while also ensuring uniform and consistent implementation of policies and procedures for HR management. Additionally, she works with the Ministry of Labor’s officials during inspections. Faquir previously worked as legal officer and HR Director at Mozfoods, S.A., an agriculture company and as a lawyer at MBachir & Associados and at Pimenta & Associados. Faquir has a law degree from Instituto Superior de Ciências e Tecnologia de Moçambique. Mavota manages the accounting system, supervises all payable accounts and fund management, manages travel advances, institutes sufficient internal controls to safeguard the assets of the organization, and monitors and prepares regular reports for the program budget. Mavota previously worked at Mozambique's Tax Authority, performing inspections and audits for companies in the general scope (i.e. VAT, IRPS and IRPC). She worked mainly with verification and compliance with tax obligations and analysis of the accounts processes presented by the companies. She also worked as an accountant with I-TECH Mozambique. Mavota has an accountant and audit degree from San Thomas University of Mozambique. Bello assists the director of operations and finance in the areas of procurement, supervises office maintenance and coordinates logistics for trainings and meetings. Bello is currently pursuing academic training in business management at the University Saint Thomas (USTM) - Business Management School. 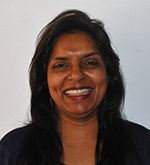 Manjate serves as administrative assistant to the UCLA team, where she represents Global Programs for Research & Training with the UCLA team and submits administrative requests under the supervision of the director of operations and finance and the UCLA program director. Manjate previously worked at EMATUM as administrative and financial assistant. Manjate is currently studying accounting and auditing at Damelin Graduate College, Randburg. Kellogg is an epidemiologist/technical advisor with broad experience in domestic and International HIV/AIDS surveillance projects. 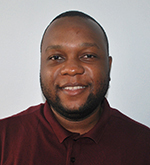 Prior to joining the Mozambique team, he was based in Windhoek, Namibia, assisting the Global Programs Namibia Office with the implementation of the NAMPHIA survey. From 2010 to 2016, he was technical advisor in Nairobi, Kenya, assisting the Ministry of Health with a variety of surveillance projects, including the Kenya AIDS Indicator Survey (KAIS), an evaluation of Kenya's readiness to transition from ANC sentinel surveys to the use of routine PMTCT program data for surveillance purposes, and a pilot of a case-based surveillance (CBS) system in Western Kenya. He also specializes in data analysis, results dissemination through reports and publications and capacity building of in-country institutions, organizations and individuals. He has mentored many Kenyan epidemiologists, including residents of the Field Epidemiology Laboratory Training Program (FELTP), in HIV surveillance methods and developing manuscripts for publication. Kellogg has a master's degree in population biology from San Francisco State University. Bambo worked previously at Banco Comercial e de Investimentos where he was in charge of developing interdepartmental applications and also managed informatics-related projects. He also worked for three years at Centro de Desenvolvimento de Sistemas de Informação de Finanças (CEDSIF) as a software test architect and as technical lead for the development of the new Governmental National System for Management of Human Resources. 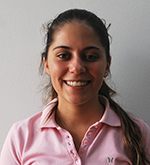 Bambo has a bachelor’s in informatics and telecommunications from the Instituto Superior de Transportes e Comunicações (ISUTC). As a member of the UCLA team, Martins is responsible for program planning, procurement of goods and services and reporting. Under the supervision of Global Programs where she reports to the director of programs at UCLA, she works in collaboration with the pediatric nursing supervisor and the director of the department of pediatrics. Martins previously worked at various locations where she held positions of chief nurse of the Pediatric Emergency Service and the nursery, working in the area of administration, quality improvement and continuing education. 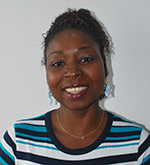 She was responsible at the Beira Central Hospital for five years for support of the health centers of the city of Beira and a pediatric nursing teacher at the Catholic University of Mozambique. 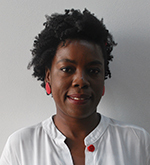 Martins holds a degree in pediatric nursing from the Higher Institute of Health Sciences of Maputo, and she is currently pursuing postgraduate studies in public health at Eduardo Mondlane University. Nunes supports the development and implementation of multiple health informatics solutions for the National Institute of Health (INS) and the Ministry of Health (MISAU). His work includes supporting the surveillance department in the creation and management of disease surveillance databases and dashboards, as well as providing general informatics support to the INS Data Management Unit. He has seven years of experience in programming a number of software environments. Nunes is a technical advisor to the INS where he has led the development of a laboratory data surveillance dashboard using the DHIS2 platform, which includes test and result data for TB, MDR TB, and XDR TB. He is also a member of the technical working group for the implementation of the National Health Observatory (ONS). Nunes previously worked as a software analyst and developer for the Banking and Informatics Systems sectors in Mozambique. Nunes has an honor’s degree in informatics engineering from Instituto Superior de Ciências e Tecnologia de Moçambique (ISCTEM) and is currently pursuing a master’s of science in computing at the University of South Africa (UNISA). Mbalane has 14 years of experience working with international organizations leading M&E frameworks for program/project development, assessing program needs and proposing evaluation matrices, as well as quantitative and qualitative analysis for HIV, TB, PMTCT, HTC, Malaria, STDS and nutrition using SPSSS, Stata, Epinfo, Epidata, for several uses including reporting to donors. She has developed SOPs, guidelines, training materials and tools for health data quality verification and has experience in all aspects of IRB research clearance and compliance. 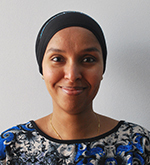 She has experience with data management, mainly through data quality supervision, stakeholder communication of outputs, and project planning and monitoring. 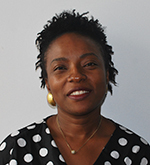 Mbalane has a master’s of science in health economics from the University of Zimbabwe.